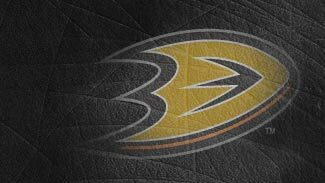 Maybe there will come a time when the Anaheim Ducks will have to face the prospect of rebuilding. Maybe there will be a time when the thought of winning the Stanley Cup won't be a realistic goal. That time is not now -- and if it's up to GM Bob Murray, not ever. "Rebuilding is not in our vocabulary right now," Murray said. "I don't like that word." Watching his team emerge from a season-long funk to blow past Presidents' Trophy-winning San Jose in the first round and take defending Stanley Cup champion Detroit to a seventh game in the Western Conference semis was all Murray needed to conclude that the Ducks have a good shot at their second Cup in four years. Murray has been moving some key pieces from the 2007 championship team to ease the Ducks' salary-cap burden while getting good value in return. The clearest example yet was his blockbuster deal at the 2009 Entry Draft, trading stud defenseman Chris Pronger to Philadelphia for scoring winger (and former Duck) Joffrey Lupul, promising 19-year-old blueliner Luca Sbisa and 2009 and 2010 first-round picks. Murray knew losing Pronger would create a huge hole, but made sure to have the back end covered by signing veterans Nick Boynton and Steve Eminger. Neither compares to Pronger, but the Ducks still have captain and the '07 Conn Smythe Trophy winner Scott Niedermayer as a difference-maker. Also, by adding Lupul and signing former Montreal Canadiens captain Saku Koivu to center the second line, Anaheim may have its deepest group of scorers in years. Only the Red Wings have played in more postseason games than the 56 Anaheim has played over the past four years. If the Ducks don't add to that total next April, it will be a major disappointment. It's hard to believe that any team icing Ryan Getzlaf as its top-line center, Hall of Fame-bound winger Teemu Selanne and young snipers in Corey Perry and Bobby Ryan would be considered offensively challenged, but Murray came away from a Game 7 loss in Joe Louis Arena believing that the Ducks didn't have enough beyond those four. "We have to get better on that second line," Murray said in May. "This is no criticism to people that were playing there for us, but we just have to get some secondary scoring. We have to take the pressure off the other line. Something that was key two years ago when we won was that second line and we haven't had it since. "We've tried to find a centerman on that second line twice -- and let's face facts, we're 0-for-2. I can't go 0-for-3." • Niedermayer and Selanne are back for perhaps one final shot at adding some hardware. Niedermayer is the consummate professional and sets the tone for the Ducks on the ice and in the dressing room, while Selanne is still an offensive threat at 39 and needs just 21 goals to reach 600. • The Ducks should be more potent offensively, as the additions of Koivu and Lupul should bring more balance between the first and second scoring lines. Fifth-year coach Randy Carlyle should be able to be more creative with his top six and not rely as much on a dump-and-chase style into the offensive zone. • The young power trio of Getzlaf, Perry and Ryan is still improving. Getzlaf could push for his first 100-point season, though he must show that he's recovered from offseason sports hernia surgery. Perry (32-40-72) has increased his numbers every season, while Ryan had 31 goals in 64 games despite not being called up for good until mid-November. No one has truly filled the No. 2 center spot since the Ducks dealt Andy McDonald in a salary cap-related move. Doug Weight didn't work out. Neither did Brendan Morrison. Andrew Ebbett was a nice surprise late in the regular season but was exposed in the playoffs. Murray is counting on Koivu, one of the most respected captains in recent NHL history, to recreate the chemistry he and Selanne have displayed in international play for Finland in what is expected to be Selanne's final season. Koivu, 34, should be rejuvenated after being cast aside by the Canadiens following 13 classy seasons. Lupul, whom the Ducks traded to Edmonton to get Pronger three years ago, fills out the top six. He's a three-time 20-goal scorer who turns 26 on Sept. 23. Lupul had a career-high 28 goals with Anaheim in 2005-06 and added nine more in the postseason. The vaunted checking line of Travis Moen, Samuel Pahlsson and Rob Niedermayer, a key to the 2007 Cup win, is no more -- all three have moved on. Todd Marchant is the anchor now and could center speedy Mike Brown, a valuable penalty killer, and newly acquired Evgeny Artyukhin. George Parros will reprise his enforcer role on the fourth line, while Ebbett, Ryan Carter and Petteri Nokelainen will vie for the final center spot. Erik Christensen re-signed with the team and brings some offensive skill. Veteran winger Kyle Calder was also brought in on a tryout contract. No player has meant more to the Ducks' success in recent years than the 36-year-old Niedermayer, who could captain Team Canada in the 2010 Winter Olympics. Not surprisingly, no player has had more impact on management's decisions during the past four seasons. As the four-time Cup winner again took some time to determine whether he had another year in him, Murray didn't hide his feelings about his blue-line stalwart. "Scotty is irreplaceable," he said. "He's everything to this group." Murray made sure Niedermayer would be back before sending Pronger to the Flyers. GM Bob Murray has re-positioned his team on the ice and astutely managed his salary cap to maximize flexibility with the roster. Goaltending is solid and competitive and affords the Ducks rest in this important position where travel is heavy. The emergence of Bobby Ryan playing alongside Ryan Getzlaf and Corey Perry is a nightmare for opponents. It also allows Saku Koivu and Teemu Selanne to be strong support players. The incomparable Scott Niedermayer leads a revamped defense capable of being formidable. Their core knows how to win and I look at the Ducks as a strong contender for the Stanley Cup. The presence of puck movers Ryan Whitney and James Wisniewski allowed Murray to feel more comfortable dealing Pronger and losing Francois Beauchemin to free agency. Both will have a full year with the Ducks and should get expanded roles with Whitney seeing more power-play duty and Wisniewski eating minutes in a top-four role. Murray has set up a fierce competition for the remaining spots. Sbisa showed he could play in the NHL as a teenager, has a high upside and could cement a spot with a strong camp. Boynton, a former first-round pick, hasn't lived up to his billing but brings some nastiness. Eminger actually put up career-best numbers with three different teams in 2008-09. Other candidates for a third-pairing spot include Sheldon Brookbank, Brett Festerling, Brendan Mikkelson and Brian Salcido. Another summer pickup, Steve McCarthy, adds more depth. But the defense begins and ends with Niedermayer, who signed on for another year at $6 million with bonuses that could earn him another $750,000. He finished last season with 14 goals and 59 points, fourth among all defensemen. 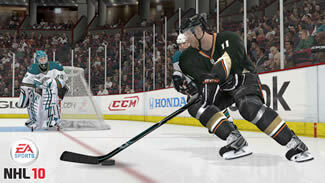 "Keeping Scott Niedermayer in an Anaheim Ducks jersey was paramount for our club," Murray said. There is quality netminding across the League, but few teams possess the depth in goal that the Ducks can trot out every game. One of the top stories of training camp will be the battle for the No. 1 job. Jonas Hiller, a 27-year-old Swiss native, figures to be the starter after taking the net away from veteran Jean-Sebastien Giguere last March and starring in the Ducks' upset of the Sharks. Hiller went 23-15-1 with a 2.39 goals-against average and four shutouts last season. He's in a contract year, so he could be further motivated to position himself for a big payday next summer. But as he enters his third NHL season, Hiller has also never been the lead dog from the start. Giguere, 32, has been that for several years but the four-time 30-game winner, 2003 Conn Smythe winner and erstwhile Ducks' main man will be fighting to get his game back after a difficult season on and off the ice left him with the worst full-season numbers (19-18-6, 3.10 GAA, .900 save percentage) of his career. Murray brought in some injury insurance by calling up his former boss Brian Burke in Toronto and sending the Maple Leafs GM a conditional 2011 draft pick to acquire Justin Pogge. The pick could be as high as a third-round selection if Pogge makes 30 starts over the next two seasons. Pogge figures to get a fresh start in Southern California after once being considered the goalie of the future in Toronto. The 23-year-old will likely start in the AHL, where he went 26-21-5 with a 2.70 GAA for the Toronto Marlies. Some speculated that Pogge's arrival could spell the end of Giguere's long tenure with the Ducks, but Senior Vice President of Hockey Operations David McNab doesn't think so. He also has two years left on a long-term, big-money contract, making him difficult to deal. "You have to have three goalies," McNab told the Orange County Register. "Your third has to be somebody that the organization is comfortable [with], who can play and can win. This is what we think we have in Justin.